Popular R&B, soul and pop artist, Chad Saaiman will be back Cape Town for the Good Food & Wine Show, creating just the right kind of laidback mood to enjoy the Spirit of Africa. 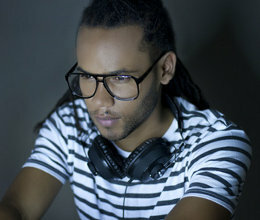 Visitors will find him at the Amarula Cocktail Lounge, where he will be playing three sets a night from Thursday, May 24 to Saturday, May 26. The first set will be at 18:00 every night. Hard to miss at 100 square metres, it�s the biggest stand on the show, made entirely from recycled material. The lounge has been designed with plenty of room for people to relax and explore the mixability of the drink that is rated by South Africans as one of the most iconic spirits brands in the country. Amarula will be featured in a range of original, exotic and creative way with mixologists on hand to show how it�s done. The brand is also extending special offers on some of its merchandise. The Good Food & Wine Show runs from 24 to 27 May at the Cape Town International Convention Centre.